You could even do these experiences with your friends for the perfect ‘Galentines’ or ‘Palentines’ dates! These aren’t necessarily things you must do on Valentine’s day or give as a gift, they’re all for two people as as Valentine’s day so coming up I thought this would be the perfect time to share them. 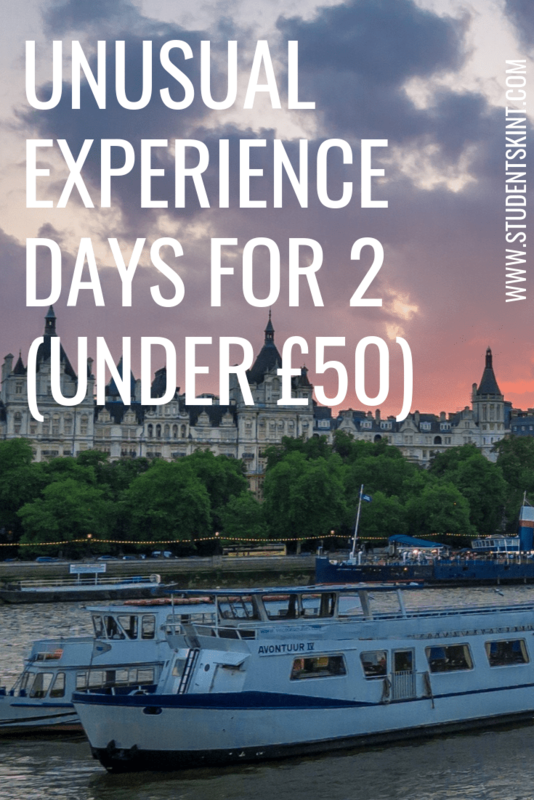 If you live in London or don’t mind travelling into the city, then consider these unique and unusual experience days with your loved one(s). Whether you’re a Harry Potter nerd or have a passion for photography, these experiences are both budget friendly and a day to remember! Okay this one is just 15p over the £50 limit but it’s too good to not include! 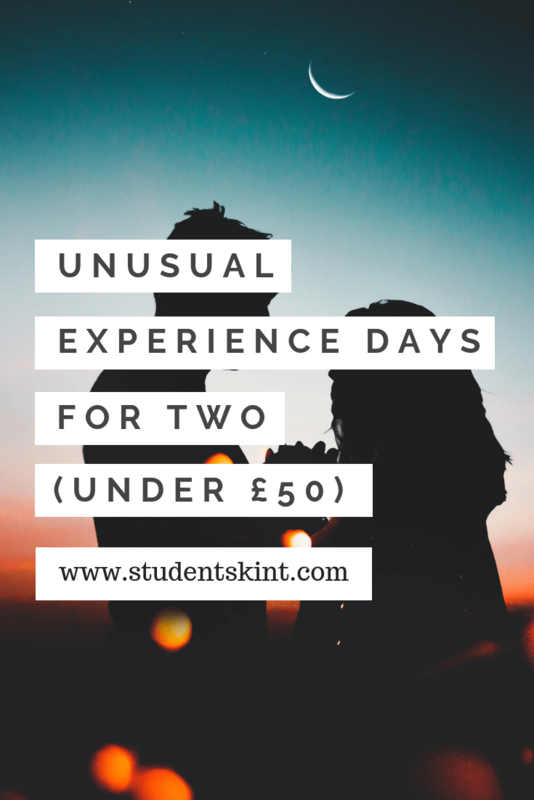 For those of you who’d prefer a more local experience day or the choice to travel elsewhere (Buyagift do some great hotel deals) then take a look at the unusual experiences below. From sushi making to visiting the Channel Island of Guernsey, these are all for two people and cost under £50 in total I can’t believe it either!